My interview with Jordan, of The Balanced Blonde, is LIVE. And I can’t wait for you to go listen. As many of you know, Jordan and I go way back. I have had the pleasure of hosting her at both the East Village and West Village locations of Gingersnap's Organic. We get really deep, and really raw about the scary decisions that have created magical transformation in our lives. How stepping away from one identity for each of us, lead to a magical life of transformation, healing and happiness. the ONE conversation I had with Jordan that completely changed her eating habits, in a single day (you might’ve heard this story if you know her background as The Blonde Vegan). my honest thoughts about french fries (and why I sometimes say YES to foods I used to label “bad”). the beauty that can be found in seasons of difficult transitions. 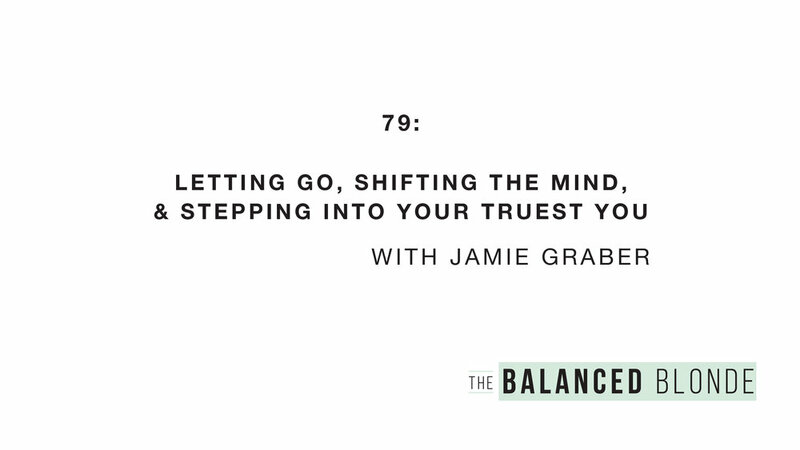 why both of us reject labels and choose to embrace a more intuitive eating practice. I honestly can’t wait for you to take a listen. Not only is Jordan filled with so much light and wisdom, but I also know that you’re going to pull so much value from our long-overdue conversation. Click here to listen to the episode HERE and please, drop me a line and let me know what you think! And in case you missed it, enjoy my latest Ritual for going inward and doing the deep healing..